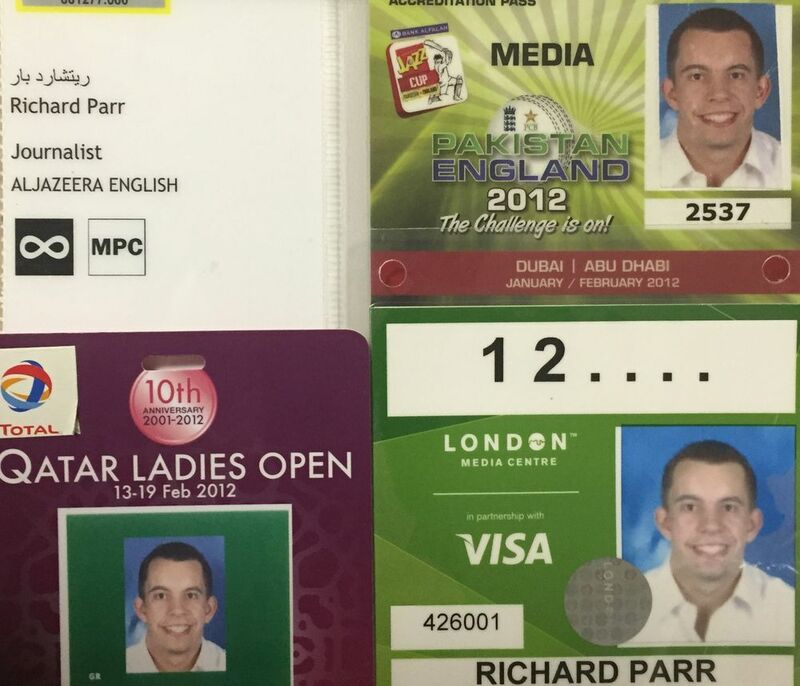 Richard Parr is a Global Sports Journalist with over ten years experience broadcasting to the World. Richard presents on the Global news channel Al Jazeera English. Live from Doha, he gives the latest sports news to the 270 million households in more than 140 countries that Al Jazeera broadcasts to. With expert knowledge on a range of sports, Richard is adept at reading autocue, conducting interviews and giving breaking news. As a sports reporter Richard has interviewed some of the World's greatest stars such as Manny Pacquiao, Michael Phelps, Serena Williams, Rafael Nadal, Zlatan Ibrahimovic and many more. He's covered stories across the globe including UK, France, Spain, UAE, Qatar, USA, Azerbaijan, South Africa and Kazakhstan to name a few. Richard is an experienced commentator and voiceover artist. He's commentated TNA and New Japan Pro Wrestling for Eurosport from their Paris headquarters. For Sky Sports, Richard has provided English Premier League voiceovers for their multimedia platforms. At Al Jazeera, Richard can be heard reporting on highlights on nearly every major sporting event in the World. Richard has introduced some of the biggest names in Professional Wresting as a Ring Announcer for the largest company in the Middle East: QPW. He's called into the squared-circle superstars such as Rey Mysterio, Alberto Del Rio, John Morrison, Carlito and Bobby Lashley. Richard writes many articles on sport particularly on his passions of Football and Wrestllng. He also gives insights on some of the many locations he visits as a roving reporter. 2012 London Olympics and the 2013 Africa Cup of Nations in South Africa are among the major events Richard has live produced on site. In addition, he produced Al Jazeera's special coverage of the 2014 World Cup from the network's headquarters.